I have a huge list of text editors that could be added to my own dwindling list of programs, but I keep them separate because this site would just turn into The Text Editor of the Day Blog. And yours truly would suffer a nervous breakdown. I do have one that I really like though: minime. This one comes by way of an e-mail suggestion, and if I called it a minimalist editor, that would be an understatement. It’s not every day I see a new text editor, but it’s even more rare to see one in so little space. The download page measures minime at only 9.7Kb, and it shows up at 9.8Kb in the version I cloned from the git address. Either way, that’s really small. It might take a second to get used to minime, but I’ll give you a few hints. Use ALT+l to list the files in your directory. Start typing and you’re in insert mode. Highlight text with SHIFT+arrows, and if you have xsel installed, this is where your copy and paste functions appear. Copy in with ALT+W and paste out with CTRL+y. Edit the minimerc file if those commands are a little awkward for you. They were for me. 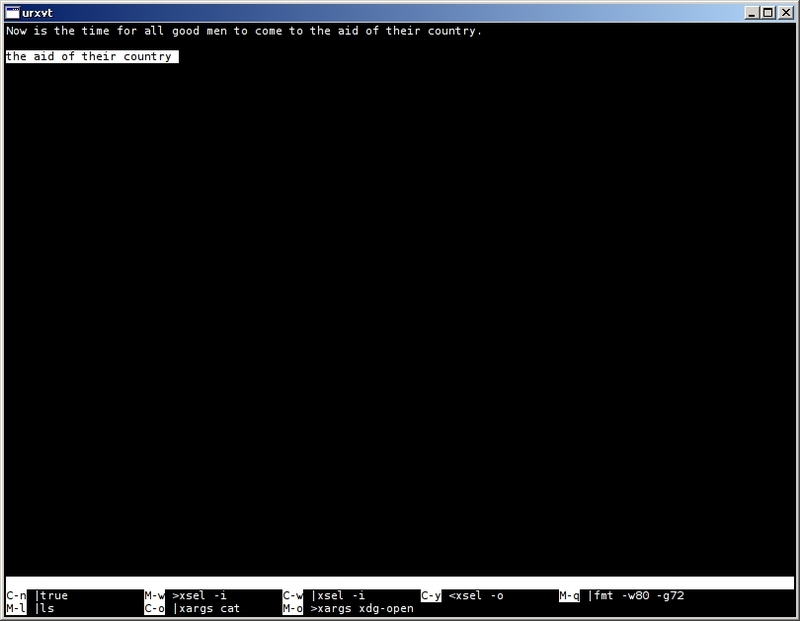 As you might guess from the screenshot, most of minime’s functions are console commands interpreted on the run. So xsel is responsible for the copying and pasting. Pressing CTRL+n gives you a new file, courtesy of true. And you can see fmt at work there, for reformatting the text on screen. This entry was posted in Linux and tagged editor, text on 2014/08/26 by K.Mandla. Joking aside… the smallest (no requirements) real editor I found is “e3” – 17kb for the 64 bit version! You mean this one? 😉 Yes, e3 is very good. I was glad to see someone adopt it. Today I made the minime default settings a bit more usable, doing away with xsel in the process and introducing labels for the key bindings.